2000-2001, Wick Alexander and Robin Brailsford. 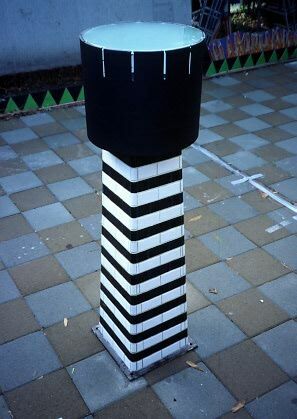 Zoetrope sculptures (the installations are named, e.g., the flipper, the duffer, the ollie, the hummer) positioned at various points in the Cardiff Paseo and parking lot. Steel, aluminum, glass and ceramic tile. 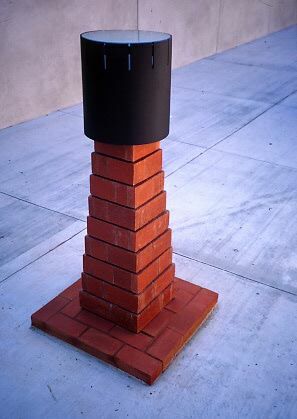 Commissioned by the City of Culver City, California. Images of the sculptures are courtesy of Wick Alexander. 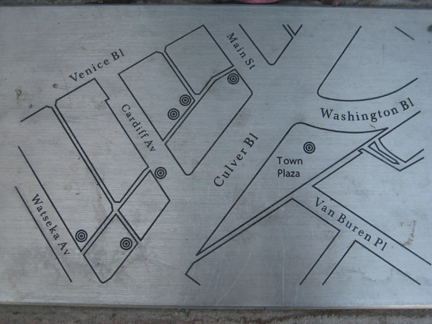 Text from plaque(s): Moving Pictures, comprising seven unique zoetropes (pronounced ZOH-uh-trohp), celebrates the origin of cinema and Culver City's film studio history. 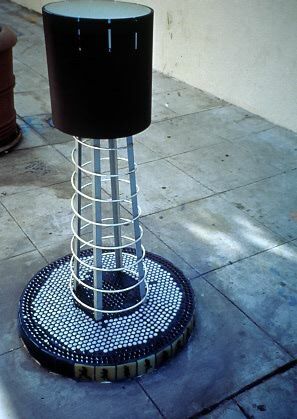 Invented in 1834 by William George Horner, the zoetrope as it later came to be called, uses the persistence of vision principle to create an illusion of movement. Inside the zoetrope's drum is a series of images that can be viewed through the slots incorporated into the drum's shell. The faster the rate of spin, the smoother the progression of images. 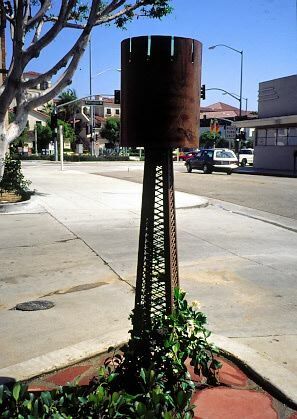 This zoetrope is spinning at Culver Boulevard near Watseka Avenue. 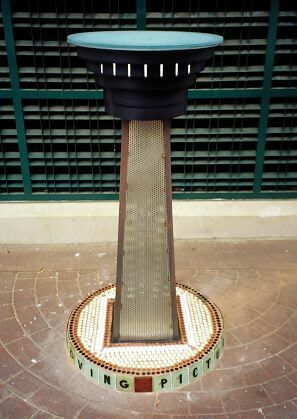 This spinning zoetrope is located near the historic Culver Hotel at Town Plaza. 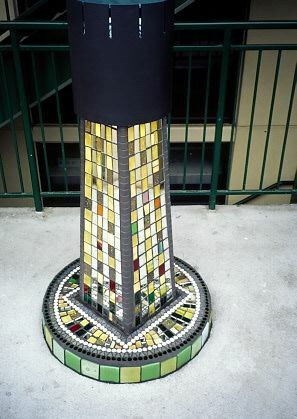 This spinning zoetrope is located in a passageway off Cardiff Avenue.